The recovery of heterogeneous catalysts can save costs and avoid secondary pollution, but its separation efficiency and recovery cost are limited by conventional separation methods such as precipitation–flocculation, centrifugation and filtration. In this paper, we found that surface-defective metal sulfides/oxides (WS2, CuS, ZnS, MoS2, CdS, TiO2, MoO2 and ZnO) commonly used in advanced oxidation processes (AOPs) could be magnetically recovered at room temperature and atmospheric pressure by mechanically mixing with Fe3O4. Zeta potential, Raman, X-ray photoelectron spectroscopy (XPS) and electro-spin resonance (ESR) spectra were measured to explore the mechanism of the magnetic separation phenomenon. 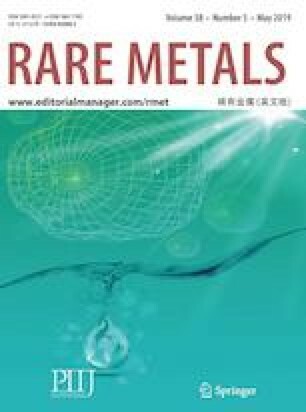 The exposed active metal sites on the surface of defective metal sulfides/oxides are beneficial for the formation of chemical bonds, which are combined with electrostatic force to be responsible for the magnetic separation. Moreover, other factors affecting the magnetic separation were also investigated, such as the addition of amount of Fe3O4, different solvents and particle sizes. Finally, WS2 was chosen to be applied as a co-catalyst in Fenton reaction, which could be well separated by the magnetic Fe3O4 to achieve the recycle of catalyst in Fenton reaction. Our research provides a general strategy for the recycle of metal sulfides/oxides in the catalytic applications. This work was financially supported by the State Key Research Development Program of China (No. 2016YFA0204200), the National Natural Science Foundation of China (Nos. 21822603, 21773062, 21577036, 21377038 and 21237003), Shanghai Pujiang Program (No. 17PJD011) and the Fundamental Research Funds for the Central Universities (No. 22A201514021).